KIRKUK, Iraq � Soldiers of the 2nd Brigade, 4th Iraqi Army Division, with assistance from Soldiers from 1st Brigade Combat Team, Bastogne, 101st Airborne Division, detained 52 suspected insurgents yesterday during Operation Scorpion, a sequential cordon and search of eight villages in and around Hawijah. During the second Iraqi Brigade-led operation in as many months, Iraqi Soldiers confirmed that 24 out of the 52 detainees were on their target list, built from their own intelligence gathering. The other detainees are being held for further questioning. The Iraqi-planned and led offensive started just before sunrise, as Iraqi Soldiers linked up with their Bastogne comrades to begin their coordinated movement. Just after 4:00 a.m. Iraqi Soldiers moved through the villages, systematically searching for the selected targets that Iraqi intelligence indicated were in the area while OH-58 Kiowa helicopters from 2nd Squadron, 17th Cavalry Regiment, circled above and Soldiers from the 1st Battalion, 1st BCT, provided outer perimeter security. The thorough searches provided intelligence leading to more evidence and the capture of more suspects. Operation Scorpion began with supporting operations in the village of Mahoos and the city of Kirkuk. While 101st Soldiers provided perimeter security, Iraqi Soldiers, acting on their own intelligence sources, moved by helicopter into the village of Mahoos, searching for seven terror suspects. Within two hours of touching down, the Iraqi Company had searched their designated targets, captured five of their intended suspects, and were back on the helicopters headed for a nearby U.S. Army compound. 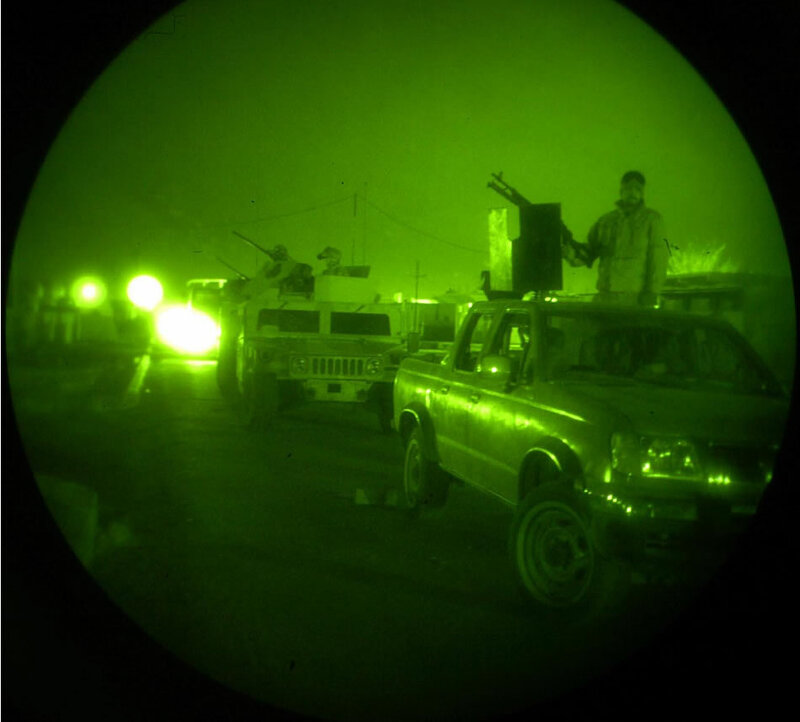 Meanwhile, in another supporting operation, Soldiers from the Iraqi Army�s 2nd Battalion, 2nd Brigade teamed up with Soldiers from 2nd Battalion, 1st BCT, to conduct raids for suspected terrorists in Kirkuk. As Coalition Soldiers provided outer cordon security, Iraqi soldiers moved through the neighborhoods, capturing six intended targets. They also discovered a weapon cache of two unregistered AK-47 rifles along with various materials used to make IEDs. The Iraqi Security Forces have proved their worth on the ground in this operation, both in terms of intelligence gathering and their skills at completing the mission. They have continued to make progress and they have unique advantages in identifying threats and deterring insurgent activity due to their familiarity with the area and culture.